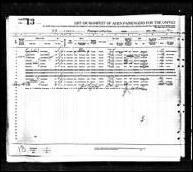 When I began researching my family tree several years ago, I never thought it would become such an obsession! I knew very little… and as far as what I had to learn – there was A LOT! Since my first web search I have been hooked. I have always enjoyed history, but when it became MY history… it took on a new flavor! 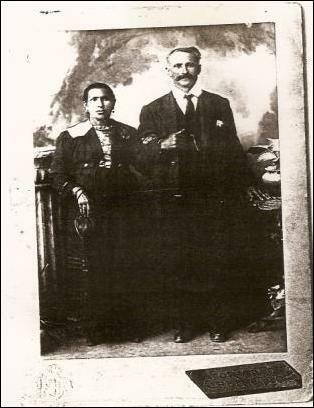 Pictured above are my paternal great-grandparents, both natives of Lascari, Palermo, Sicily, Italy. 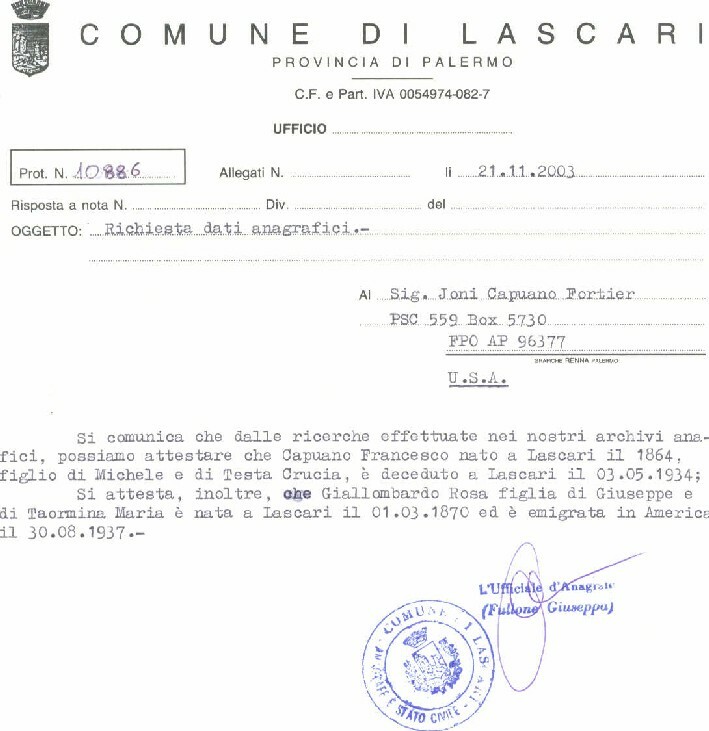 Rosa immigrated to America in 1937 after my great-grandfather Francesco died in 1934. 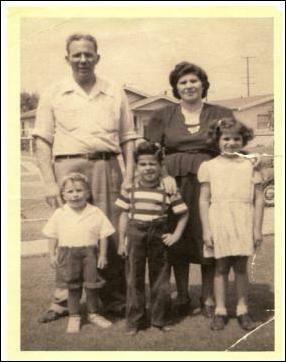 Emilia, Mary, Crucia, Michele (“Mike”), Giuseppe (“Joe”), and Rosario (“Ross”). 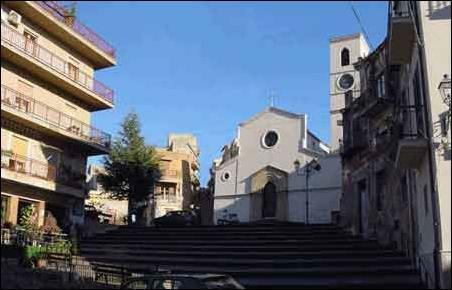 The Commune of Lascari, in the Province of Palermo, on the island of Siciliy, Country of Italy. Lascari comes from the Greek name Làskaris, which means soldier. The first inhabited place has medieval origins (complete with a ruined castle) and was in a neighboring locality, Sant'Eufemia. The present town was originally part of the commune of Gratteri. Now it is a self-governing commune. Lascari produces great agriculture, namely vegetables, olives and citrus fruit. 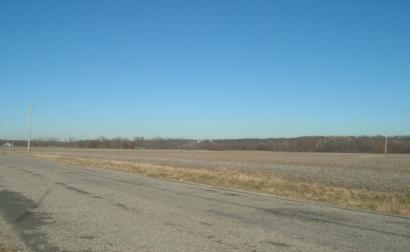 Lascari’s population is about 3,300. 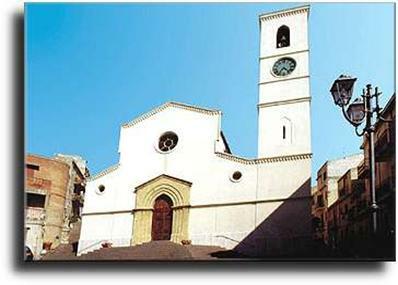 Below are two photos of the local Catholic Church located at Piazza Del Popolo in Lascari. The name of the church is St. Michael the Archangel, where undoubtedly our ancestors were parishioners; were baptized, received Holy Communion, Confirmation and were married, etc. The church was built in the 18th century, as the town was formed. 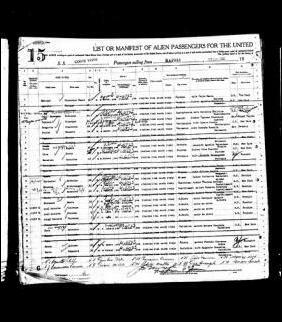 I knew my father was 100% Sicilian and the first generation to be born in America. 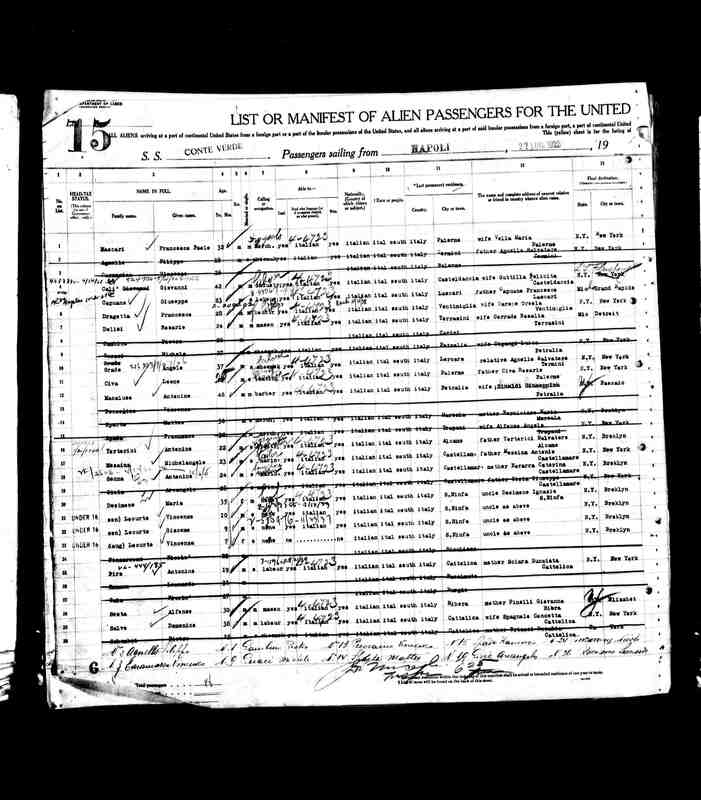 My paternal grandparents (pictured above left with my Dad, Uncle and Aunt), were born in Lascari, Sicily, and came over from the island as “WOPs” (Without Papers); Grandpa came in 1923 and Grandma in 1940, both going through Ellis Island. 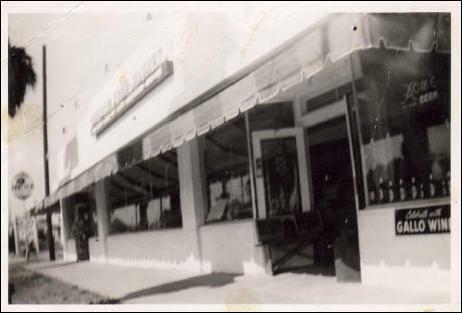 Our line of CAPUANOs were first in the Chicago area, then we were in Grand Rapids, Michigan, and finally in 1946 on to Los Angeles, Calif. Around 1948 my Grandpa Joe & his brother Michele bought some property at 9130 S. Figueroa St. in Los Angeles, and built a successful Italian Market & Deli called Capuano’s Food Market. Two of Grandpa’s nephews and a cousin worked in the market as well. 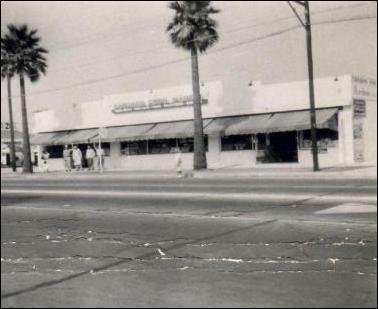 Grandpa Joe had a small Los Angeles backyard but I remember as a young child going to visit and there were banana trees, fig trees, tomatoes and peppers, onions - anything and everything growing in that backyard! He also had what seemed like hundreds of little finches. He absolutely loved those birds, I remember he used to talk to them (not that I could ever understand what he was saying in Italian J ) but they were the sweetest sounding birds. Nonna Anna was a wonderful woman, a GREAT cook, and very frugal. She told me a story not too long before her death that made me cry; when I asked her what it was like to see the land of America for the first time. She remembered with tears in her eyes the joy she felt when her ship approached NY's harbor at the sight of The Statue of Liberty. She said she was very nervous and cried because she was so happy. After waiting for almost 17 years, she was finally going to be with her husband Giuseppe. 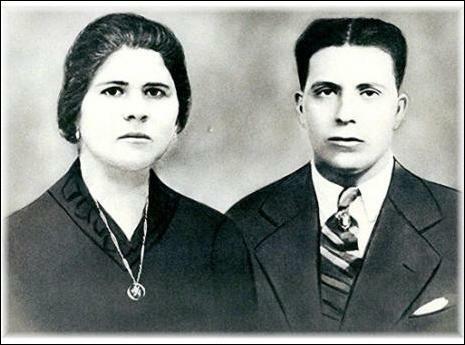 Both my Nonna and Papa were buried at Queen of Heaven Cemetery in Rowland Heights, Calif.
· The surname CAPUANO is a name for a person who is very determined, or head-strong, as it derives its origin from the Italian word “capo”, which means head! *Imagine that! I would have never guessed that any of us Capuano’s were stubborn or head-strong or anything like that! 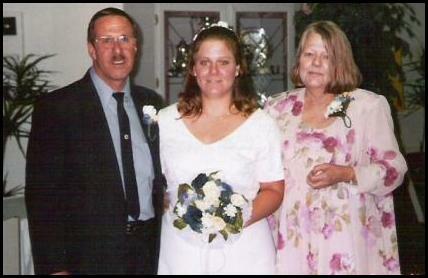 This is my father, me, and my mother on my wedding vow renewal ceremony in 2000 (I married in 1998). My mother passed away from colon cancer in 2003. She was only 56. Both my parents ended up working careers at Lockheed-Martin in Palmdale, Calif., though they met at Hughes Aircraft in the late 1960’s and married in 1969. My father is currently retired and enjoying his hobbies; restoring classic Chevys and Hunting! I am my mother’s only child, though my father did remarry in 1979 – that marriage ended in divorce. From his second marriage I have one half-brother, Joseph, and a step-brother, Jason. My father also served as a Corporal in the United States Marine Corps in Viet Nam from 1966-1969. He was a Purple Fox in HMM-364 – and was also in another unit, I think HMM-362! Ugly Angels?? 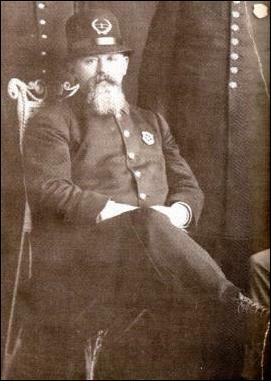 This is my maternal great-great-grandfather. He is the son of David DENTON (1817-1858) and Eliza Emeline “Sarah” BOLT (1823-1860). 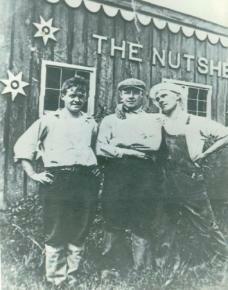 He also worked in his younger years as a mill-worker in the lumber industry, and as a rural mail carrier. He served in the Civil War with the 57th Indiana volunteers, and Company I, 157th Indiana Volunteers on his second enlistment. 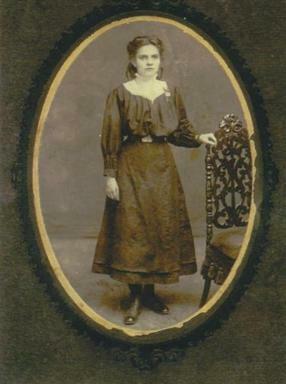 He had two wives; Miss Martha “Nettie” STRATTON who died in 1879, and Mary M. SPRAY, who died in 1910. 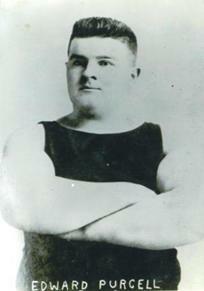 He had 5 children – Samuel, Florence (HOLCOMB), Prudence, Earl and Claude. What I have learned about my DENTONs has been fascinating! Earl (pictured above) is my maternal great grandfather. He was a railroad man (boiler maker), worked on the old Nickel Plate R.R., and also was a Fireman in the city of Frankfort, Clinton County, Indiana. 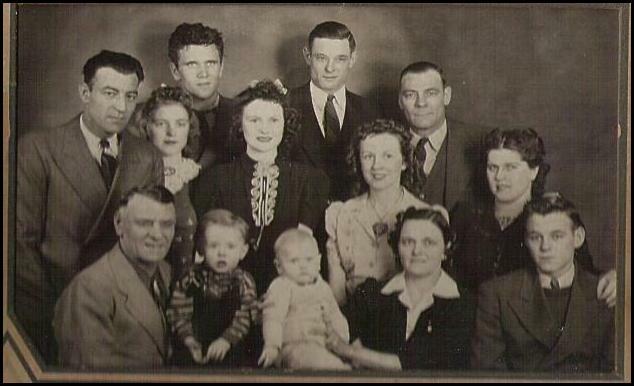 The little boy in the rear left of the picture is my grandfather, John DENTON (1922-1996). Next to him is Charles, then Mary (BROWN), and the baby is Helen (AYRES). 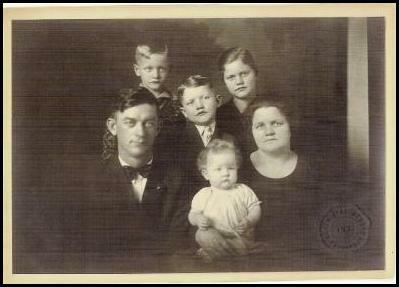 Earl died of broncho-pneumonia when he was only 43, leaving Leora with 4 small children to raise in the midst of the Great Depression. That’s one heck of a strong lady! 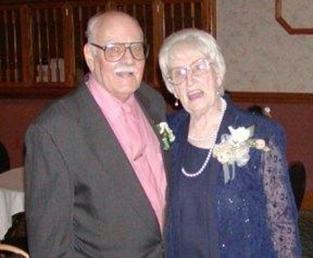 My maternal grandparents, Eva died at 38yrs old from colon cancer, and my grandpa John later in life from Lung cancer. 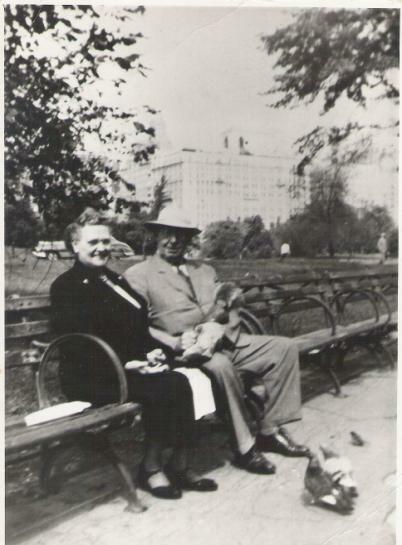 They divorced within a few years of marriage, and my Grandpa remarried to Martha Irene HAYES (1918-1994) in 1954. 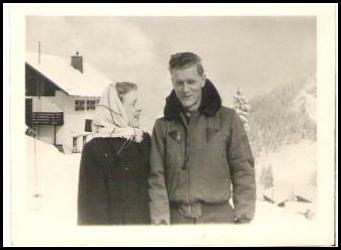 Grandpa John was a career Airmen in the US Air Force (1942-1973), and worked as a Flight Engineer. He retired in 1973 as a Master Sergeant. He was involved in several military conflicts, to include being a WWII POW in Germany from 1944-1945. 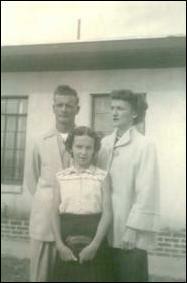 Eva and John only had one child – my mother, Janna Jeanne DENTON in 1947. John and Martha did not have children, but Grandpa adopted Martha’s daughter from a previous marriage – Judith JOHNSON DENTON (1943-1994). 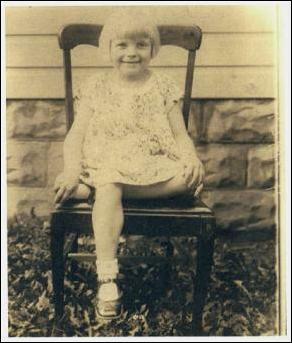 Judith’s father, Richard Wendell JOHNSON died in WWII shortly after she was born. The bottom row, sitting are (L to R): Daniel WANN, Aaron WANN, Larry SMITH, Celia HOLDEN (WANN) and Daniel R. WANN. 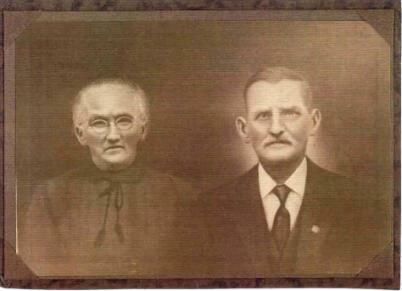 Daniel WANN (1883-1964) is my maternal great-grandfather. He was a 47 year Railroad man, being an engineer most of that time, and retired from Nickel Plate R.R. out of Frankfort, Indiana. 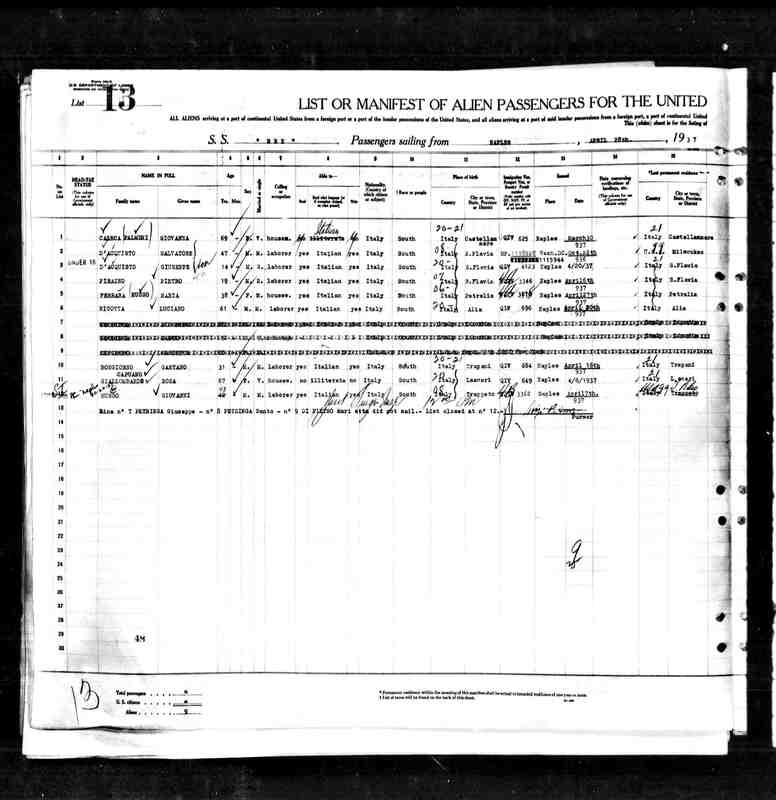 He was the oldest engineer in the Clover Leaf division, and three of his sons had fired engines with him. Daniel was a Bugler in the Spanish American war and in the 63rd Engineers in France during WWI. Daniel WANN was married three times. 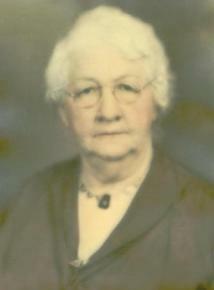 His first wife was Effie STINE (Mother to Floyd, Forrest and Clifford); second wife was Celia Jane HOLDEN. And his third wife, with whom he had no children, was Elizabeth “Gail” RITCHIE. 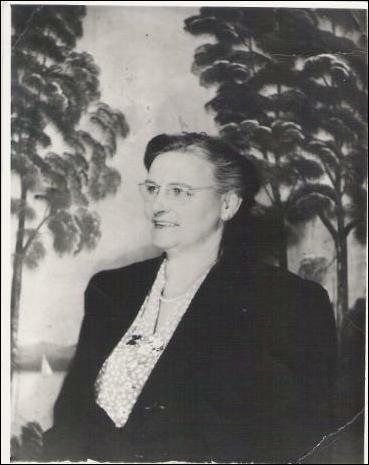 Gail RITCHIE had a son, Earl Eugene RITCHIE, who was raised by Daniel WANN. Daniel WANN (1883-1964) is the son of Daniel WANN (1847-1895), who was the son of Daniel WANN (1806-1865), who was the son of Jacob WANN (1771-1838), who was the son of Johann Wilhelm WANN (1735-1785), who was the son of Jacob WANN, and the son of Frantz WANN! 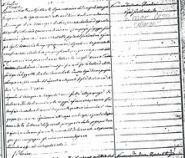 Our WANN ancestors came first to Philadelphia from the Palatinate area – now Germany, in 1750. They were farmers, millers, fur traders, hotel owners and river men. From Pennsylvania, my branch of the WANN family moved to points westward; Ohio in 1825, Indiana by 1830. By 1850 Daniel WANN (1806-1865) was part-owner of 600 acres of farmland and a sawmill, with his brother-in-law, John UNDERWOOD. 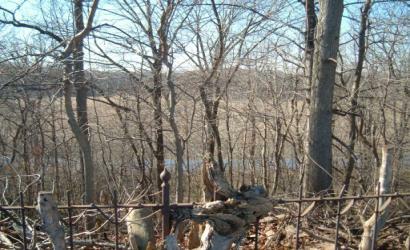 It was located in Fountain County, Indiana, and known as Silver Island (formed by the Wabash River on the west and Coal Creek on the east). In 1850 the land was valued at $3500. 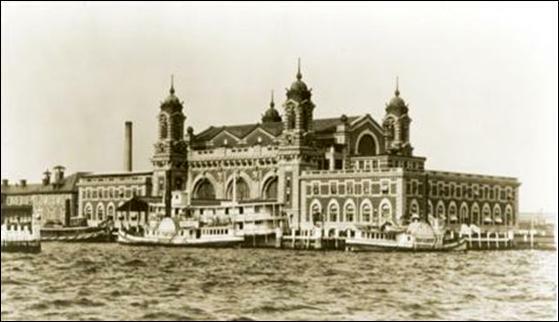 In 1860 he had real estate worth $6000 and personal estate worth $2020. My husband’s tree is full of NUTS! J Just kidding… but my husband’s tree is a very deep one, made up of many generations of French and French-Canadian roots on his father’s side, and Irish on his mother’s side. 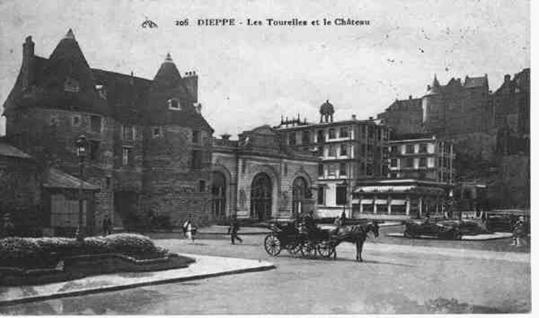 1500’s to early 1600’s in Dieppe, Normandy, France and on into French Canada. It is said that all French-Canadian families can trace themselves back to ONE huge power couple, responsible for most descendants of Nouveau France; Jean (COSTE) COTE and Anne MARTIN. This is very true for my husband. He descends from COTE’s as well as LOISEL/LOISELLE on his paternal grandmother, Lea M. LOISELLE’s side. 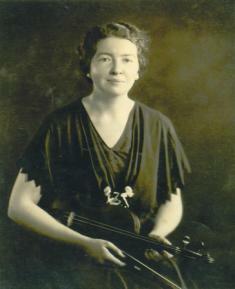 She was the daughter of Theophile LOISELLE and Herminie COTE. Herminie can be traced back to Jean COTE and Anne MARTIN. and Marie Louise back to Jean COTE and Anne MARTIN. My husband’s maternal ancestors hailed from “across the pond” in Ireland. 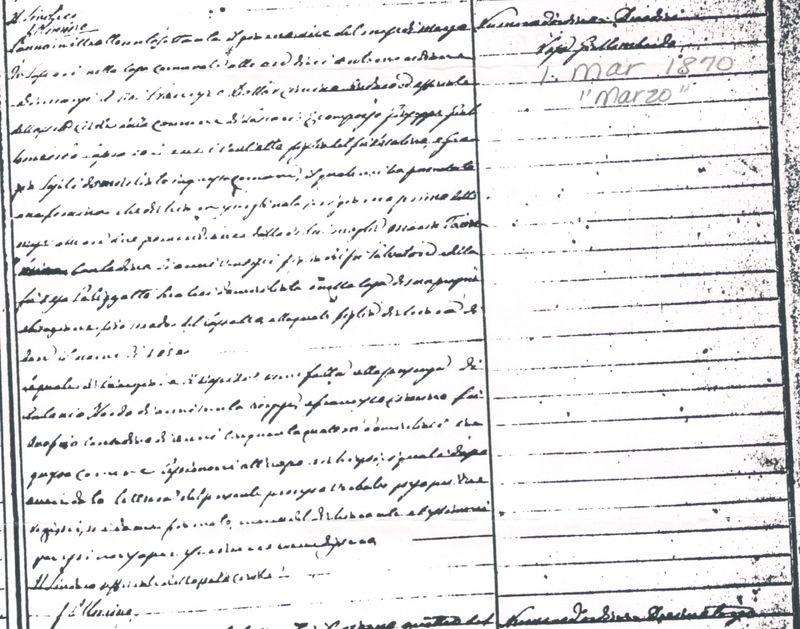 Christopher PURCELL, born about 1796, is found in Griffith’s Evaluation, leasing land from Sir. Bart. Charles H. Coote in Maidenhead, Killabban, Laois, Ireland. Also in the same town, between 1848-1857, Christopher is discovered as a Hardware Merchant & Ironmonger on Tullow Street in Killabban, Laois, Ireland. living on land Leased from Thomas Whitty, Esq., in Gortahile, Killabban, Laois, Ireland. 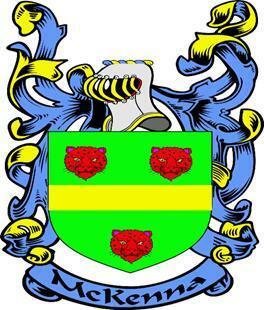 James’ occupation is a Grocer and Vintner at 74-76 Tullow Street, Gortahile, Killabban, Laois, Ireland. 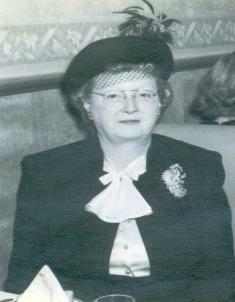 Patrick PURCELL and Ann MCDERMOTT lived full lives and had 8 children; John, Catherine (DELANEY), William, Patrick, George, Peter, Mary and Edward. 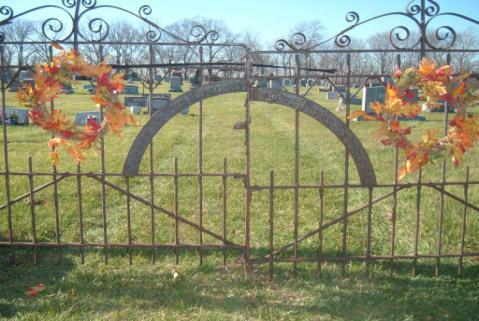 They ended their days in Hampshire County, Massachusetts and are buried in a family plot at St. Mary’s Cemetery in Northampton. I am still working quite a bit on the MCKENNA part of the family. 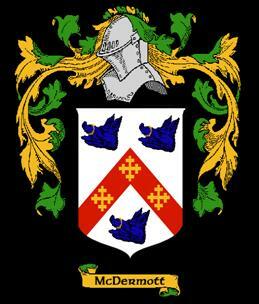 My husband’s maternal great-great-grandfather was Denis McKENNA (born about 1840), who was possibly the son of Martin McKENNA (born about 1820) from Killorglin, County Kerry, Ireland. 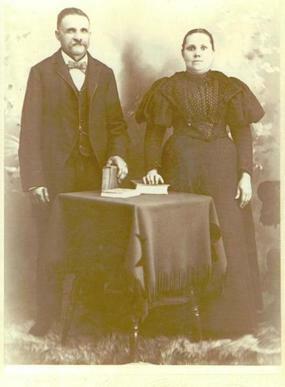 Denis McKENNA married Anna O’CONNOR and their son was John MCKENNA (1860-1899). 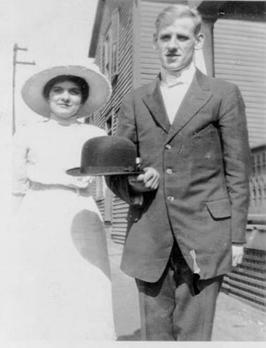 John McKENNA (1860-1899) married Johanna TOOHEY (1869-1933). John was born in Ireland and Johanna was born in Northampton, MA. 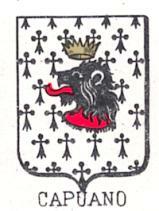 John McKENNA and Johanna TOOHEY had 6 children; John, Mary (LAURIA), Johanna (PURCELL), Nora, Peter and James. Their son John J. McKENNA (1886-1947), for over 15 years, was a benefactor for patients and elderly who were in convalescent homes and hospitals in the Hartford, CT area between 1930-1947. 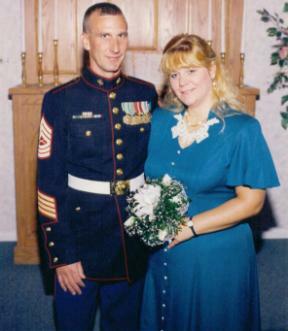 He was never married and used his vacation money, from his job at Sisson Drug Company, to take the patients and inmates from local area hospitals on outings to the beach, to enjoy outdoor picnics, holiday parties, etc. For those that were unable to attend off-site outings, he provided the women with boxes of cand, and pipes with tobacco for the men. There is a rumor/family legend that there is a bust of John in or near a local Hartford park or in an area of the city, because of his generous and charitable works.